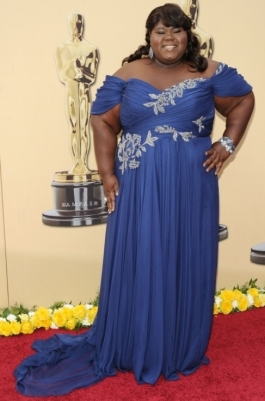 2010 Oscars Celebrity Red Carpet Dresses. 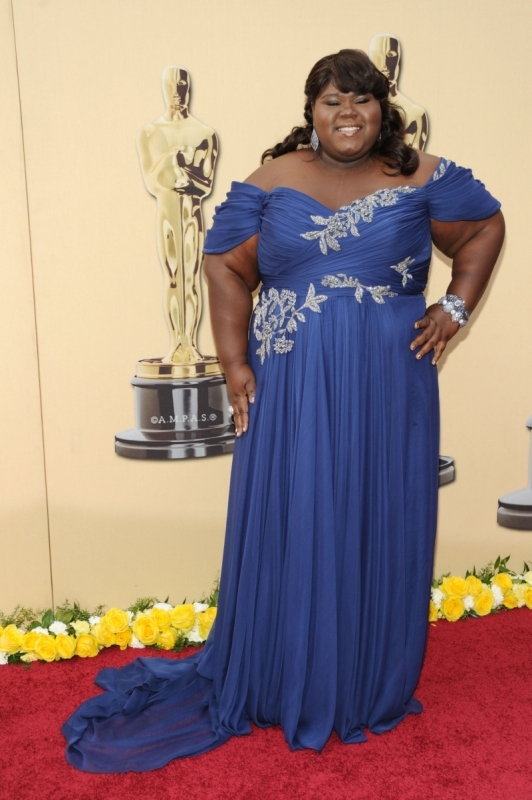 The 2010 Oscars celebrity red carpet dresses are as fabulous and overwhelming as in the earlier years. Laureate celebrities expressed their unconditional devotion to great designers by wearing art works. 2010 saw the revival of the old glam as well as more futuristic looks still beaming 'noblesse' dominated the whole ceremony. Take a closer look at the most prominent Oscar dresses that couldn't be left without standing ovation. The 82nd Annual Academy Awards taking place in Hollywood on March 7, 2010 presented the parade of prominent actors and actresses as well as other precious members of the film academy in their most stylish suits and dazzling dresses. The ceremony hosted by two exceptional comedians of the industry Steve Martin and Alec Baldwin managed to reserve more surprises as well as offered the well-deserved reward for some of the blockbusters of 2009 as 'Avatar' and 'The Hurt Locker'. Skimming through the multitude of immortalized designer creations we'll have the chance to spot some of the most memorable presences when it comes to the 82nd Annual Academy Awards red carpet fashion. Beginning the brief review with the awarded members of the academy, we must elevate the style of Sandra Bullock as the all time winner for earning both a prominent title in the best dressed list as well as the award for the Best Actress in a Leading Role for 'The Blind Side'. Her oh-so-fab embellished dress landed on the red carpet thanks to the mastery of the Marchesa Fall 2010 collection. Furthermore, the 'Avatar' actress Zoe Saldana also had a breath-taking entree with her glamorous apparel designed by Givenchy. Offering the stylish example of the ruffle couture trend, the young socialite proves her sophisticated skills to wear a bouffant and up-to-date look. Strapless and flamboyant dresses were predominant on the red carpet. The atmosphere of the ceremony was honored with creations as the one popularized by Penelope Cruz, having as the mastermind Donna Karan who envisioned this masterpiece promoting the draping fashion trend as well as the silhouette-flattering tailoring. Rachel McAdams in her Elie Saab gown also demonstrates her fondness for the strapless and skin-flashing trend that still manages to steal the show, balanced by the pompous length and dimension of the digitally printed fabric. Prominent and aspiring actresses as the 'Twilight' star Kristen Stewart as well as Carey Mulligan decided to go for the all time winner black evening gown that succeeds in distinguishing itself from the crowd by the glamorous details and high brow tailoring. The celebrated teen idol Kristen Stewart paired her airy look with a dress designed by fashion guru Monique Lhuillier. The strapless quality as well as the waist-accentuating details all created the perfect aura to land on the best dressed list. Carey Mulligan flaunts her youthful and at the same time feminine finesse in a black in front short in the back longer gown created by Prada. The Swarovski crystal embellishments enhance the look with a noble flair that is further complemented by the design of the creation that emphasizes the worth-admiring silhouette of the actress. The list of best dressed red carpet celebrities can go on, however we must stop at two of the most vision-pleasing presences from the 82nd Annual Academy Awards. Nicole Richie literally and figuratively sparkled in a sequin gown designed by Reem Acra. Echoing the retro-glam vibe, her gown also managed to become a spectacular example of the alluring femininity of the low back gowns. Paired with a classic bun and moderate accessorizing she conquered the heart of both critics and the public. Cameron Diaz radiated an out-of-this-world dazzle by honoring one of the gold and embroidered Oscar de la Renta dress that attracted immediate attention. The length as well as the strapless design emphasized the sylph-like qualities of the Hollywood sweetheart. It would have been difficult not to spot the enchanting appearance crowned with her old Hollywood hairstyle as well as the heart-warming smile. Amanda Seyfried also makes a stunning statement with her red carpet gown from the Armani Privé Spring 2010 collection. The Swarovski crystal details as well as the sharp lines of the bustier add definition and a gaudy allure to the young actress. The bulky texture as well as the restrained accessorizing all contribute to the fairy-tale style appearance of the dress. The low bun as well as the natural makeup all offer the proper means to make this rising celebrity the queen of the day. Sarah Jessica Parker as one of the most stylish presences of the red carpet paid tribute to the retro-inspired award-winning gowns by choosing an outstanding piece of the Chanel Spring 2010 collection. The yellow tone of the gown was perfectly balanced by the finesse of the satin as well as the silver sequin embroidery. Challenging the laws of physics that dress stood fabulous on her silhouette without any additional details that would ensure the proper support.